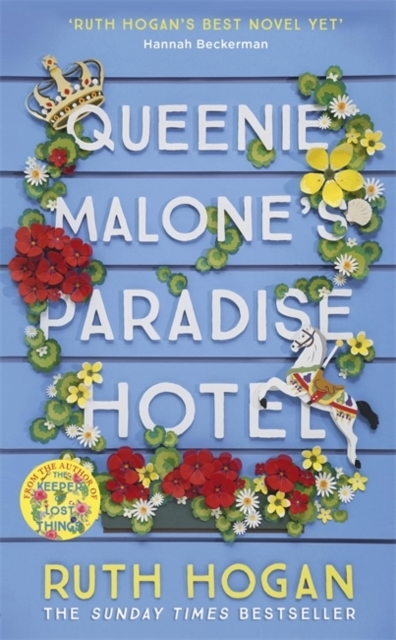 The new novel from Ruth Hogan, the bestselling author of The Keeper of Lost Things and The Wisdom of Sally Red Shoes - Queenie Malone's Paradise Hotel is an uplifting novel of mothers and daughters, families and secrets and the astonishing power of friendship. But Tilly's childhood was shattered when her mother sent her away from the only home she'd ever loved to boarding school with little explanation and no warning. Many years later, Tilda has grown into an independent woman still damaged by her mother's unaccountable cruelty. Wary of people, her only friend is her dog, Eli. But when her mother dies, Tilda goes back to Brighton and with the help of her beloved Queenie sets about unravelling the mystery of her exile from The Paradise Hotel, only to discover that her mother was not the woman she thought she knew at all ... Mothers and daughters ... their story can be complicated ...but it can also turn out to have a happy ending. Available in hardback for £14.99. Click here to order your copy.